The Model 50/Jamaica speaker, which retails for $1,800 a pair, is the third NSMT Loudspeakers offering I've reviewed for HomeTheaterReview.com in the last five years. The CEO/designer of MSMT, Erol Ricketts, is well known in speaker design circles for using transmission line technology to get accurate and extended bass frequencies from relatively small enclosure speakers. Transmission lines are tuned "pipes" that take the back wave of a driver and use it to reinforce low end frequencies instead of either trying to kill off the back wave or just using a simple port to extend the bass. Both of those options can work fine. However, the magic of a well-crafted transmission line can be more accurate and tuneful bass at lower frequencies than a similarly-sized simple port design can generate. The art and science of developing transmission lines that actually deliver the goods is both expensive and time consuming. The Model 50/Jamaica speaker actually uses a double transmission line loading. Mr. Ricketts' goal in the Model 50 speaker was to develop a very dynamic/fast, powerful sounding, full range (38 Hz to 20 kHz) transducer that would still image like a world-class two-way monitor, in the form of a relatively slim floor-stander measuring 42 inches high by 9.5 inches wide by nine inches and weighing 60 pounds apiece. What really caught my attention was that the Model 50 has a rated sensitivity of 101dB and never dips below 8 ohms, which means you can use SET "flea watt" amplifiers, no problem. The model 50 is a three driver MTM design that uses high sensitivity eight-inch paper cone drivers with a phase plug that surround a one-inch soft dome tweeter in a waveguide arranged in a quasi-point source arrangement. The three drivers are positioned at the top of the front baffle and below are two ports that exhaust the double transmission lines. Because these ports are on the front baffle, you can place the Model 50 closer to the front wall without its bass becoming mudded or losing the speakers' extraordinary imaging/sound-staging abilities. On the back of the speaker are a pair of high-quality insulated gold-plated binding posts. The Model 50 cabinet is constructed from real red birch-laminated CARB 2 anti-resonant medium density board. The speaker is shipped with custom CNC machined aluminum outriggers with spikes, along with full length speaker covers in black. The overall appearance and build quality lead to a very attractive speaker, which belies the very reasonable price of this NSMT speaker. The NSMT Model 50/Jamaica speakers went into my smaller reference system, which includes the following upstream components: McCormack Drive SST-1 CD transport, Line Magnetic 502 CA tube based DAC, Schitt Audio Saga 6SN7-based preamplifier, and three different amplifiers--the Linear Tube Audio MicroZOTL, the Triode Lab tube based SET 2A3, and a refurbished Threshold 200S. The cabling in this system is a complete loom of MG cables and Audio Archon reference power cords. The Model 50/Jamaica speakers were placed six feet apart, three and a half feet off the front wall and four feet off the side walls, with a slight toe-in that produced optimum performance. I sit seven feet off the front of the speakers and there is no back wall; this acoustic space back loads into a large open loft. I chose to start the reviewing process with Bob Marley's Legend album (Island records) for two reasons. First, Erol Ricketts had named the Model 50 "Jamaica" because of the dynamic pulse and bass dominant sound of that country's contribution of Reggae to the world music culture. Secondly, many of the cuts on this album were recorded live. If a speaker can generate the illusion of seating in the stadium were Bob Marley and his Wailers were killing it, you know that transducer has reference-level spatial qualities. The Model 50 produced a soundstage that seemed that I was in the middle of a large crowd, totally transcending the walls of my listening space. Bob Marley and his band seemed to be centered about 30 feet in front of me and the rest of the crowd was around me. The Model 50 completely vanished into this space. Concerning overall macro-dynamics and volume levels the Model 50 produced thunderous bass and never lost its composure at very high listening levels. As I mentioned at the beginning of the review, because of its 101dB sensitivity, combined with its eight-ohm impedance, the Model 50 seemed like a perfect match for many SET four- to six-watt amplifiers. I replaced the Threshold 200S amplifier with the Triode Lab 2A3 3.5-watt SET amplifier and sat down to hear Jacintha's Here's to Ben album (Groove Note), which is beautifully recorded and showcases this singer's wonderful timbres and phrasing of the lyrics of the American song book. This album is one of my wife's all-time favorites. She had arrived from work and was going about her business when she heard the music from downstairs. She came upstairs, sat down in the sweet spot, and did not say anything until the album was over, at which point she said, "This might be the most beautiful sound you have ever had in this system." The Model 50 allowed what a NOS 2A3 1940's black plate RCA tube-based SET amplifier can give you regarding emotional intimacy and little details all delivered with an ease that is hard to put into words. Unlike the usual pairing of SET "flea watt" amplifiers with single driver speaker designs that roll off the top end and lack bass, or horn design speakers that have great dynamics but have a horn coloration that I find annoying after a short period of time, the Model 50 is a full range speaker with none of these drawbacks and mates with these special low watt amplifiers in a wonderful way. This is not to suggest that the Model 50 shows shortcomings with much higher-powered solid state or tube based amplifiers, though. You can use virtually any amplifier to tailor your system to your personal taste when you power the Model 50. One of my favorite swing tenor saxophonists is the legendary Ben Webster, who had a very distinct timbres and phrasing in his playing style. If a speaker has sufficient transparent and clarity, it will allow the listener to clearly hear all nuances of these characteristics in Webster's distinct style. Webster's album Ben Webster meets Oscar Peterson (Verve Hi-Fi) is a studio recording that has excellent fidelity and will reveal any shortcomings in micro-details in upstream components or speakers. The Model 50, being driven either by the Threshold 200S or the Triode Lab SET 2A3 amplifiers, rendered the timbres and tonality of Webster's instrument with remarkable definition and purity, and developed a three dimension life-size image of him setting on his chair playing in that studio space among his band mates. Because of the Model 50/Jamaica's virtues, such as its attractive appearance, petite size, and its overall stellar performance--including reference level sound-staging, extended bass frequency range, effortless handling of the smallest micro-details, and the fact that it can be driven by any amplifier, regardless of power rating--it's tough to come up with any serious shortcomings. One possibility would be if the Model 50 was placed in a very large listening space, it might not be able to deliver sound pressure levels that larger speakers could provide. That's where Erol Ricketts' multi-driver (and more expensive) designs might be the choice to consider. Based on both price and performance, two speakers that would be competitors to the NSMT Model 50/Jamaica speaker would be the Klipsch Heresy III, which retails for $1,998, and the Monitor Audio Silver 300, which retails for $2,000. First, the Klipsch Heresy III can be used with SET amplifiers because of its 99dB efficiency and nominal eight-ohm impedance. However, I found this speaker to be hot and bright on the top end, with that "cupped hands" coloration that I find quite fatiguing. It also could not reproduce any of the quality bass extension that the Model 50 renders with ease and sophistication. The Monitor Audio Silver 300 comes much closer to competing with the Model 50 in such areas as developing an excellent layered soundstage. It's also very transparent, which allows the micro-details of the music to emerge, and it comes close to the overall speed/dynamics of the Model 50. There are two areas that I believe that the NSMT Model 50/Jamaica pulls ahead of the Monitor Audio Silver 300. First, the quality and impact of the bottom end frequencies are superior to the Monitor Audio speaker. Secondly, even though the Monitor Audio speakers are excellent in their spatial qualities, they do not throw as large and accurate a soundstage, as the Model 50 speaker, nor do they disappear in the soundstage. Another player in the high efficiency speaker world that is part of my reference rig is Tekton Designs. The company goes about making easy-to-drive speakers in a very different way, but they are also the darlings of the SET world, as well as many other audio lovers. The Tekton Design Double Impact is a bit more money at $3,000 per pair, but are game-changing in performance. This $2,000 per pair price point is considered to be perhaps the most competitive in the floorstanding speaker business, with offerings from the best, most lauded speaker manufacturers in the world thus the Model 50/ Jamaica faces some stiff competition from comparably priced transducers from the likes of Paradigm, PSB, MartinLogan, Definitive Technology, SVS, RBH, and so many others. Many of them are special in their own ways and nobody will fault you if you stopped off for an audition to hear any one of the aforementioned products in the $2,000 range. 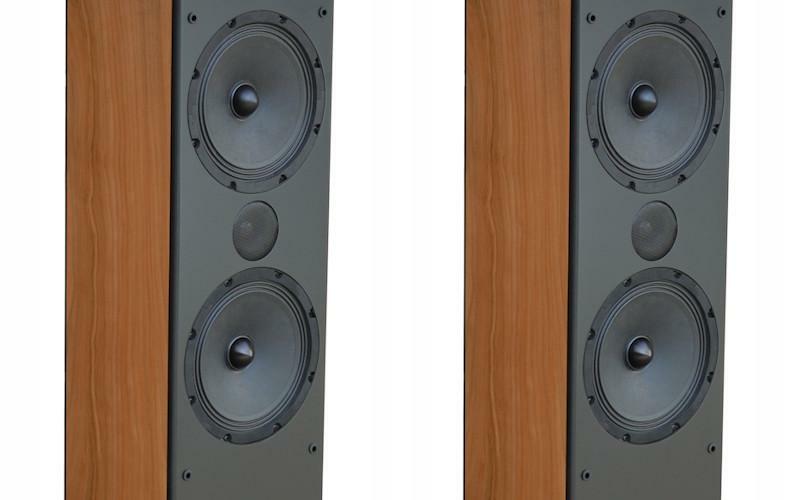 To review the NSMT Model 50/Jamaica speaker has been a fascinating experience for me. It allowed me to use some of my favorite, very-low-powered SET "flea watt" amplifiers. To think you can get full range extension on the top and bottom and thunderous dynamics with less than four watts at over 100db sound pressure levels is amazing. Unlike other speakers used with these special SET amplifiers that are rolled off, lack bass, or have colorations, none of these shortcomings get in the way of the Model 50's performance. I want to be clear the Model 50 also works beautifully with high power solid state or tube-based amplifiers. The speaker will easy fit into many listeners' rooms because of its attractive looks and petite size. The Model 50 speaker's performance shines in the areas of tonality, details are easily heard because of its transparency, it's a very dynamic design that gives life to the music, it produces a reference level of sound-staging/imaging, and because of its double transmission line loading you won't have to get a subwoofer for music or movies. It is amazing that this kind of performance can be obtained at $1,800. These babies are not going back, as they've found a home in my smaller, SET-tube-based system without question. • Visit the NSMT website for more product information. • Visit our Floorstanding Speakers category page to read similar reviews.